I'm sharing another finished quilt from 2015 today. Towards the end of the year I worked really hard to get a lot of my WIPs (works in progress) all finished up. This was one quilt top that was done earlier in the year, but it sat in my "to-quilt" pile for a long time as I decided how to quilt it. 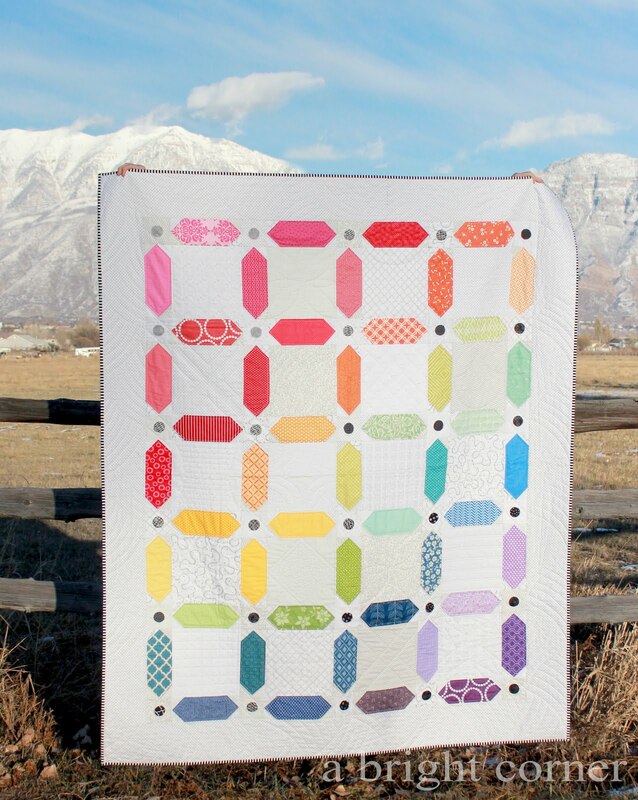 The pattern for this quilt is called "Dashing" and it can be found in the Vintage Vibe book written by Amber Johnson (blog: A Little Bit Biased). 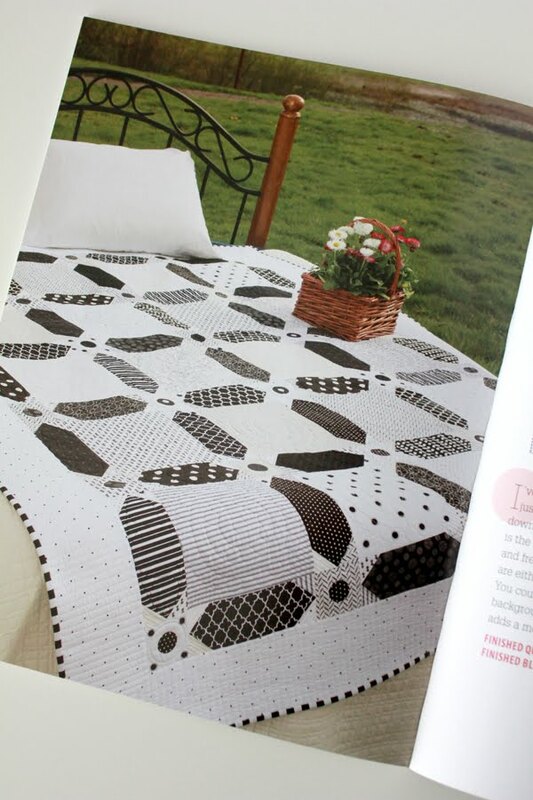 For her book, Amber made a black and white version of Dashing which is classic and gorgeous. I love black and white quilts! 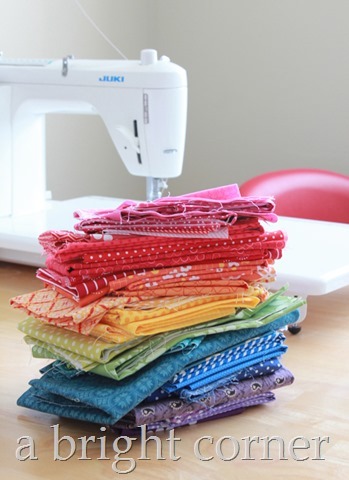 Waaay back in last January I pulled this stack of rainbow scraps and decided to make a colorful version of Dashing. The quilt top itself didn't take me too long to finish, but I was so worried about ruining the quilt with the actual quilting. I was way over thinking it. I fretted, and thought, and planned, and worried and then I had an epiphany. I realized that the quilt is just for ME, and I don't require it to be perfect. A finished quilt is better than s folded up quilt top sitting on a shelf. I saw this as a great opportunity to work on my ruler work on the long arm. I decided to quilt a different design in the center of each of those squares. This quilt had so much negative space to play in! I have to admit, the first border and the first row are a little rough. I made mistakes. Many. But I learned so much! And there are parts of the quilting that I absolutely love. The best part is that it's done, and is being used. KathleenD! Congratulations Kathleen - I'll be sending you an email so check your in box. 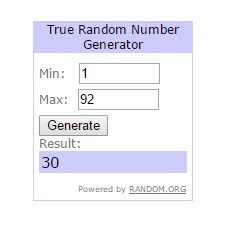 And thank you to the rest of you for entering. I read each and every one of your comments and I appreciate you all! Okay, Andy, look, I couldn't even finish reading this post before I came here to tell you that Colorful Dashing is a GREAT! quilt! LOVE it! It turned out so great and you should be really proud of the quilting on it. It's fabulous! Love how you mixed it up with the rainbow color scheme too! Very inspiring! Lovely work finishing your quilt. 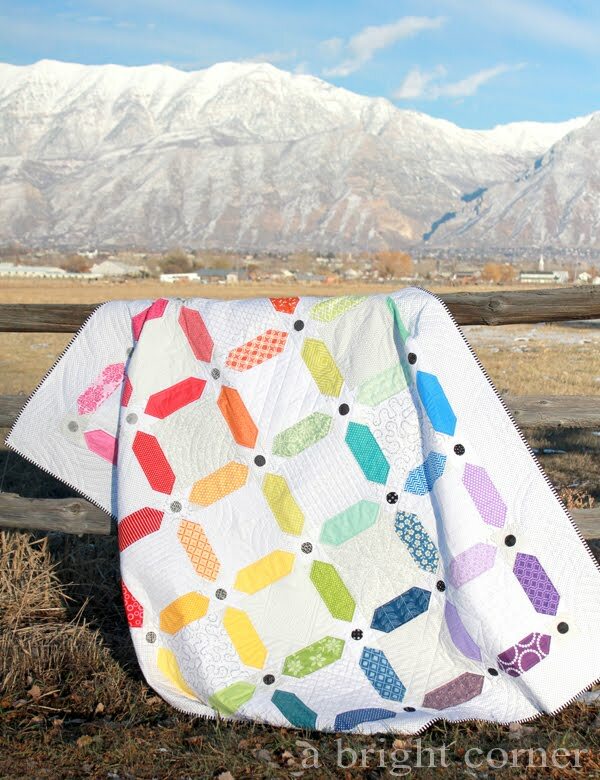 I agree - much better to have a finished quilt and this one looks great.